Whether you raise bees for honey commercially or for your own use, the hives need to be cleaned thoroughly to prevent diseases from spreading and to make sure your bees have a healthy living environment. 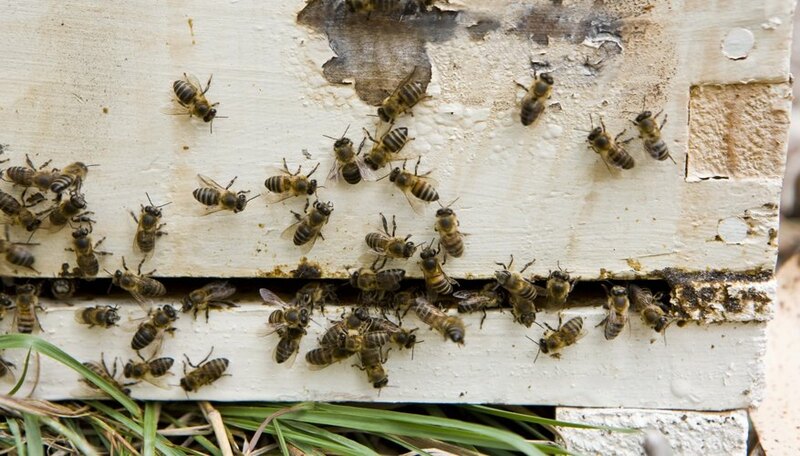 The best time to clean the hives is in early spring before the bees have begun to gather pollen and make honey. 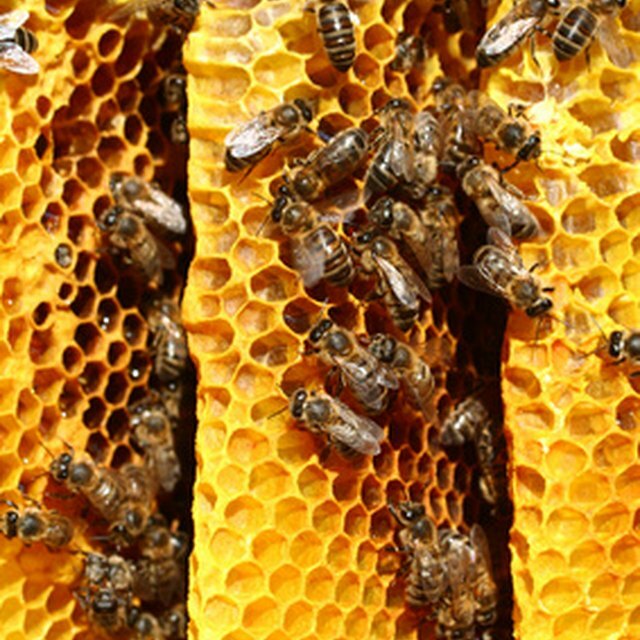 There are several different things you can do to clean old wax, bad honey, dirt and debris off of your hives. Smoke the bees from the hive if necessary. Replace the parts of the hive that need cleaned with clean parts filled with fresh wax to allow the bees to return to their hive. Work in a room at a distance from the bees so that they will not be attracted by the smell of the honey you're cleaning off of the hive. Use a stiff-bristled scrub brush and hot water to remove built-up debris and wax from the parts of the hive you collected for cleaning. Fill a 10-gallon bucket or tub with hot water and 2 cups of bleach or ammonia. Soak the hive sections in the solution for 10 to 15 minutes in order to melt and remove remaining wax and honey. Scrub the sections again. Change the water once it becomes cloudy or dirty. Use a blowtorch to remove any particularly hard to remove sections of build-up on the hive sections. Shoemaker, Bailey. "How to Clean Bee Hives." Sciencing, https://sciencing.com/clean-bee-hives-5911354.html. 24 April 2017.